Ellen Matson, assistant professor of chemistry at the University of Rochester, is one of five inaugural recipients of the Course Hero-Woodrow Wilson Fellowship for Excellence in Teaching. Created by the namesake online library and administered by the Woodrow Wilson National Fellowship Foundation, the $40,000 fellowships are intended as “genius grants” for young, tenure-track scholars who strike a balance between research excellence and commitment to innovative, effective teaching practices. Matson, who joined the University in 2015, earned dual degrees in chemistry and science education while an undergraduate at Boston University, and is licensed to teach high school science. Since joining the University, Matson has participated in initiatives to promote teaching, including new TA training for incoming chemistry graduate students to better prepare them for leading workshops and labs. She has also received a teaching innovation grant from the University’s Center for Excellence in Teaching and Learning to improve the curriculum for undergraduate laboratories. 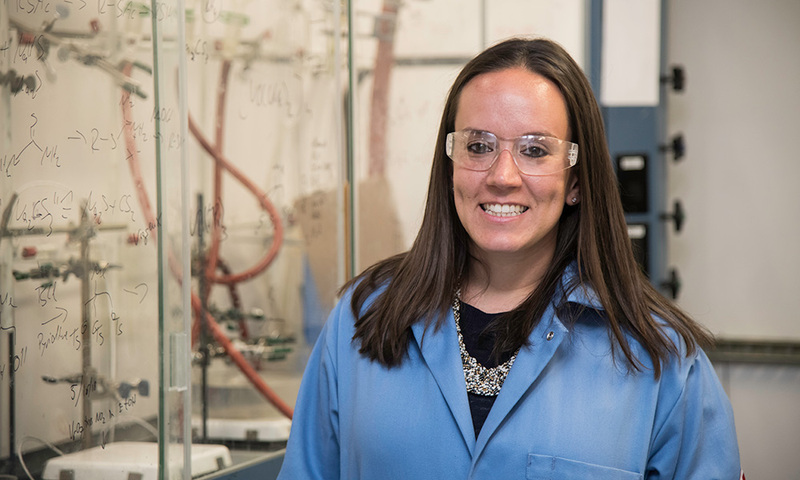 Matson, who is a recipient of a National Science Foundation CAREER award, and her lab study ways to modify metal oxide clusters to improve energy storage and production.